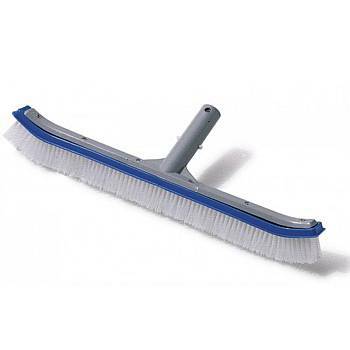 This rugged nylon wall brush is specially molded with rounded corners and no sharp edges. Perfect for use on concrete, fiberglass, or vinyl liner pools. 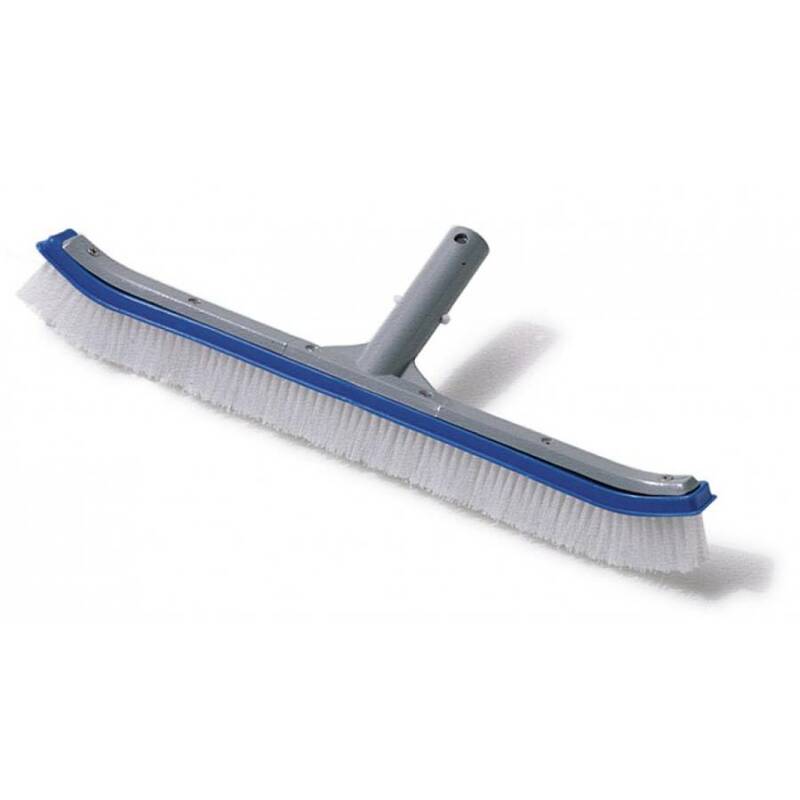 Thick, nylon bristles remove the most stubborn dirt & stains and outlast cheaper plastic bristles. The wide face is reinforced with die-cast aluminum for years of use. Snap-Adapt® quick-release handle fits any standard size telepole. Measures 18" across. Can be used in conjunction with a telepole (not included).